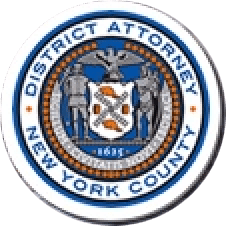 Manhattan District Attorney Cyrus R. Vance, Jr., and the Vera Institute of Justice (“Vera”) today announced the release of a report examining racial and ethnic disparities in criminal case outcomes in New York County. The two-year study focused on the role of prosecutors during several points of a criminal case – case acceptance for prosecution, dismissals, pretrial detention, plea bargaining, and sentencing recommendations – and whether prosecutorial discretion contributes to racially and ethnically disparate outcomes. The Vera report found that the best predictors of case outcomes were factors that directly pertained to legal aspects of a case – including the seriousness of the charge, the defendant’s prior record, and the offense type. But Vera’s research also found that race remained a factor in case outcomes, warranting further discussion and study. Before taking office in 2010, DA Vance committed to an examination of the criminal justice system in Manhattan to determine whether there was any racial disparity in how defendants were treated. Upon election, DA Vance asked Vera to conduct that study. Vera secured funds in 2011 from the National Institute of Justice, the research, development and evaluation agency of the U.S. Department of Justice, to conduct the two-year study and issue this report. Vera’s research included the following findings. The Manhattan DA’s Office prosecutes the vast majority of cases brought by the New York City Police Department, with no significant difference based on the defendants’ racial or ethnic backgrounds. Black, Latino, and Asian defendants were more likely to have their cases dismissed than similarly situated white defendants. Black and Latino defendants were more likely to be detained at arraignment (remanded by the court or have bail set, but not met), and Asians were less likely to be detained than white defendants. Overall, black and Latino defendants were more likely than white or Asian defendants to receive a sentence offer including a jail or prison term as opposed to non-custodial offers such as community service, probation, or fines. Compared to similarly situated white defendants, blacks and Latinos were more likely and Asians were less likely to be sentenced to imprisonment. The DA’s Office provided Vera with information about more than 200,000 resolved cases from 2010 to 2011, which included all misdemeanors, violations, infractions, and certain felonies pertaining to drug offenses, weapons offenses, domestic violence, burglaries, and robberies. The study compared black, Latino, Asian, and white defendants who were “similarly situated” – taking into account other similar factors, such as type of counsel, charge seriousness, prior record, and type of offense. Limitations of the data did not allow the study to take fully into account defendants’ socioeconomic characteristics, including employment, community ties, marital status, or education. The extent to which these factors would have accounted for any of the disparities is unclear, and merits further exploration, as they also contribute to prosecutors’ decisions at the various discretion points examined. Due to resource constraints, the report also did not study all felonies. Finally, the report used only four racial categories, which does not account for Manhattan’s ethnically diverse population, and did not examine the racial or ethnic background of victims. The Manhattan DA’s Office is committed to better understanding the causes for any racially- or ethnically-based disparity in the criminal justice system, what role, if any, prosecutors play in that disparity, and how prosecutors might be able to work with the courts and the defense bar to reduce that disparity. The Office has undertaken various steps well before the publication of this report. Because DA Vance believes that a more diverse staff will reduce the possibility of inherent bias, he appointed both a Chief Diversity Officer and a Diversity Committee, composed of attorneys and support staff from all divisions in the Office. Their mission is to develop creative approaches to enhancing workforce diversity and ensuring that the Office maintains a culture of diversity. There has also been a commitment to require all Assistant District Attorneys to attend implicit bias training. The brief and full report are available here.